Jessica Mudditt is a dual citizen of Australia and the United Kingdom and has lived in Dhaka since October 2009. After completing a six-month internship at The Daily Star, she joined The Independent as a special correspondent, as well as teaching at The University of Liberal Arts, Bangladesh and freelancing for IRIN, the UN’s news service, among others. 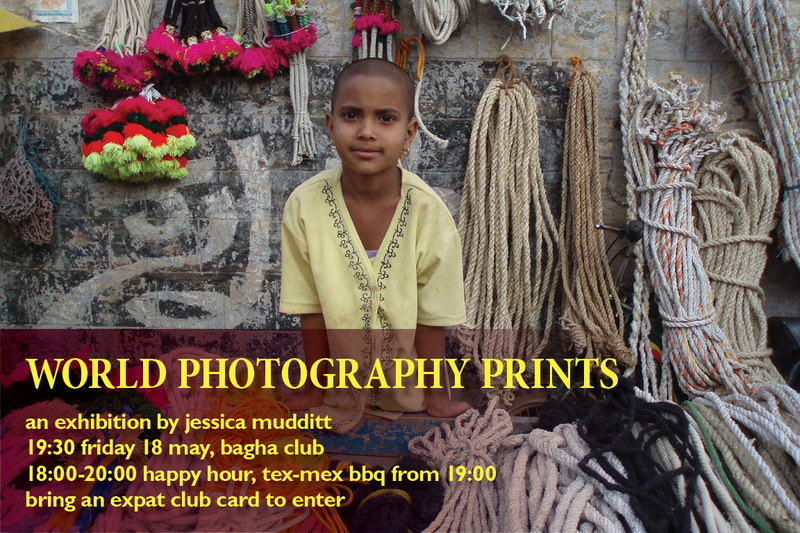 Jessica’s exhibition includes 21 photographs from her travels to Iran, China, Nepal, India, London – and of course, Bangladesh. Many of the latter photographs were shot on assignment – such as investigating Bangladesh’s brick kiln industry. Please don’t hesitate to ask me for a walking tour on Friday if you’re interested – and I also hope to be there most nights next week! Framed prints (12 x16 inches and 12 x18 inches) are Tk 5,000 – each framed photograph is a limited edition of five. BAGHA Club is on Road 44, House 17, Gulshan 2 (behind the back end of the Westin). If you are travelling south on Gulshan Avenue, away from the Gulshan 2 intersection, turn right immediately after Movenpick and Fahim Music onto Road 44 and continue straight for 200 metres. The BAGHA will be on your right side. I’d like to thank Sajid Chowdhury for the opportunity to exhibit my work in Dhaka – as well for patiently responding to my endless series of questions! He’s one of Bangladesh’s true creative movers and shakers and he specialises in communications for non-profit organisations. I’d also like to thank Bablu at Samata Digital Studio and Colour Lab for his assistance with printing and framing – and an exceptionally fast turn-around. Bablu is himself a photographer and his guidance was really helpful. The studio’s address is B-3, Shopping Centre, Gulshan 1 and the phone number is 02 988 3023 0r 0183 4811 999.